Below are some of the design tools that I use. Feel free to explore them and see how they work for you. 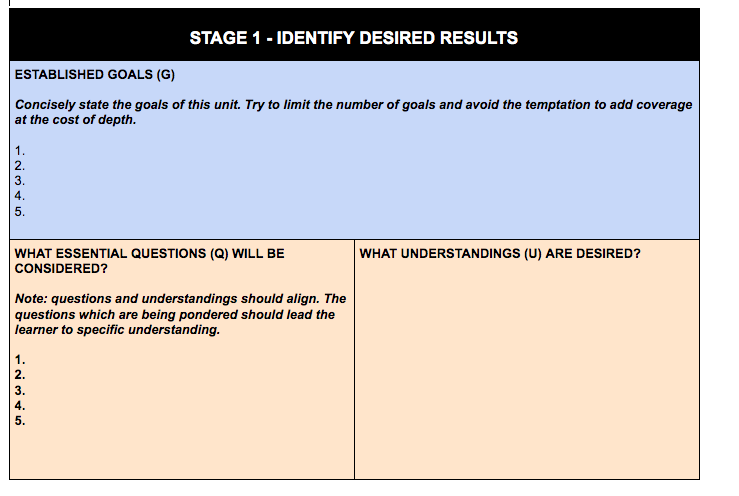 This is a unit planner that I use to develop learning modules. I began with Understanding by Design as a framework. 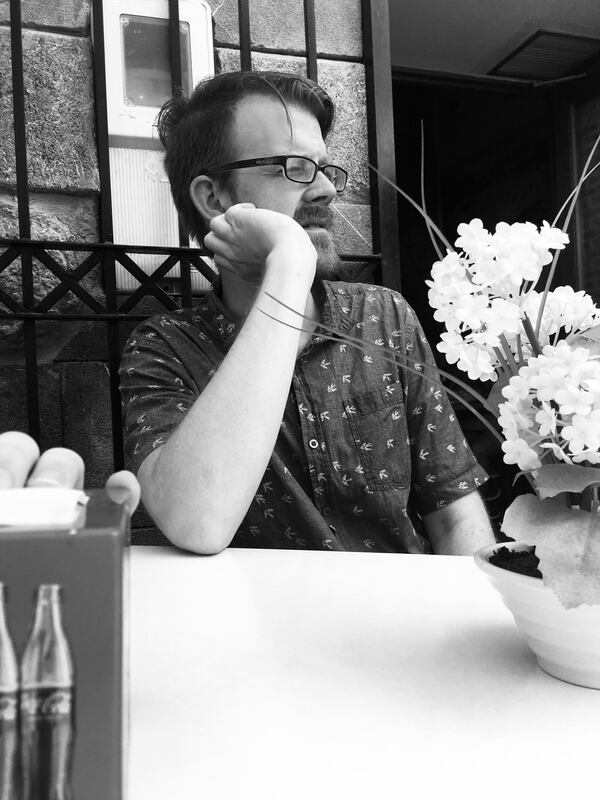 But made certain alterations that reflect the challenges that I have encountered in my experience teaching. This type of module planner is designed to help backward plan a unit, chapter, module, etc. 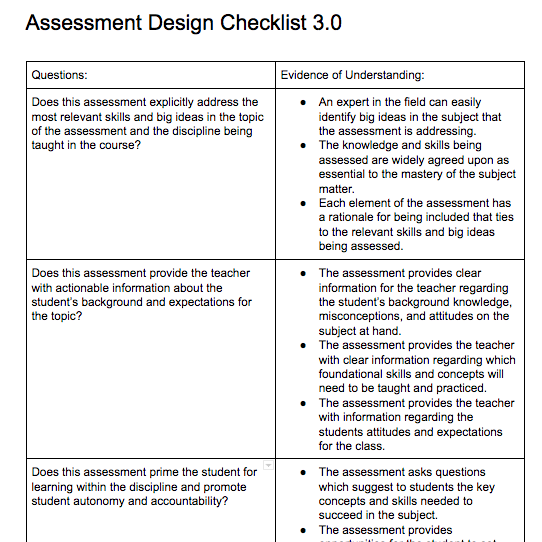 This assessment design checklist is used to assess an assessment. 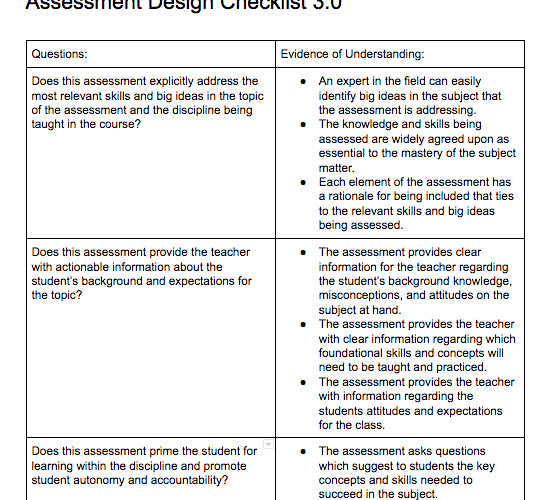 The checklist includes the key questions one should ask when evaluating an assessment along with suggested evidence of understand and theoretical rationales for these criteria. 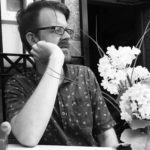 TPACK Masher – Get Unstuck!